Growing up in a household of girls, I have played with my fair share of Bratz dolls, Polly Pockets, and, of course, My Little Ponies. 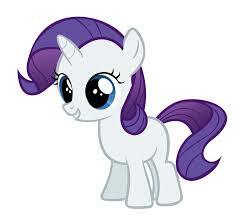 However, it wasn’t until this past year that My Little Pony became more to me than an entertainment franchise. After viewing the 2013 documentaryBronies: The Extremely Unexpected Adult Fans of My Little Pony, I am beginning to consider My Little Pony and its fandom as an emerging religion. For those unfamiliar with this phenomenon, the term “brony” refers to a typically adult, usually male fan of television series My Little Pony: Friendship is Magic. Though the show’s intended audience is adolescent girls, featuring stereotypically “girly” images (read: rainbow horses with “cutie marks” on their rumps), the universal themes attract all genders and generations. Because the show is intended for little girls, Bronies are frequently assumed to be pedophilic, homosexual, or just plain weird. However, Bronies: The Extremely Unexpected Adult Fans of My Little Pony confronts and dismisses these stereotypes while revealing a surprisingly religious undertone of the fandom. The documentary, now on Netflix, follows several bronies as they travel to BronyCon, a gathering hosted in New York City to celebrate all things My Little Pony. Though the bronies interviewed in the film are nationally diverse, hailing from the United States, Turkey, Germany, and England, they tend to emphasize similar themes. For these men (and a few women), the attractiveness of My Little Pony: Friendship is Magic fandom, lies in two main qualities: kindness and acceptance. Because the My Little Pony franchise targets adolescents, Friendship is Magic episodes tend to revolve around positive moral themes like sharing, faith, overcoming differences, embracing individual talents, bravery, and the list goes on. Many bronies featured in the documentary cite these adorable-ized fables as a major reason for watching the show. The importance of accepting one another is a particularly present theme throughout the entire series as well as in the brony fandom. Many of the stories shared in Bronies come from former loners and outcasts who found solace within the brony community. As voice actor Kira Buckland said, “It doesn’t matter who you are, you can find a place in this fandom and you can be accepted”. The kindness and unconditional support for one another is exemplified by the charitable deeds of the community. Bronies includes a segment about Michelle Arroyo and her 12 year old son, Grayson, who has been diagnosed with terminal brain cancer. Together, bronies raised over 6,500 dollars for his treatment and send him letters daily. So, bronies have a moral code, practice universal acceptance, and emphasize charity. Already the parallels between the My Little Pony fandom and organized religions are apparent. However, in order to fully understand their position between fandom and religion, Emile Durkheim must be brought into the equation. Durkheim, a French sociologist and philosopher, characterized religion in social terms. He believed that religions have totems, or things representative of the group around which the group rallies. Religions also produce heightened emotions in group settings, which he called a “collective effervescence”. The totem(s) for bronies are clear enough; nearly every aspect of Friendship is Magic is a point around which the fandom rallies. They produce their own forms of hymns and icons which celebrate My Little Pony and, in a bigger way, celebrate the community that surrounds show. The social dynamic of bronies is key to their role as a religion. The collective effervescence that Durkheim describes is apparent in all the footage of BronyCon in the documentary. Groups of people who were strangers only minutes before are seen singing together, dancing together, and bumping fists (or hooves). Several bronies who pause to speak with the camera describe their exhilaration and the overwhelming sense of unity at the convention. The assembly is sacred to these people, and even when they are not congregated, the knowledge that they are members of a group is of comfort. As Cathy Weseluck says, My Little Pony “is a show that has actually created a community. I think it’s a visceral thing that’s happening here. I think it’s connected to the heart”. The phenomenon, despite the misplaced stereotypes which surround it, seems heartfelt indeed when given a closer examination. Despite the social persecution bronies experience on a daily basis, their fandom is rapidly expanding due to passionate proselytizing, and, perhaps, the allure of rainbow horses singing songs about friendship.